Getting ready for college can be challenging, but getting yourself prepared and organized will solve all those problems. Here are a few ideas which may help to prepare. Lists are always good and this list for packing for college is a perfect example by Samanthability. Even though this list is mainly for a female, you could get an idea on how to pack for guys too. 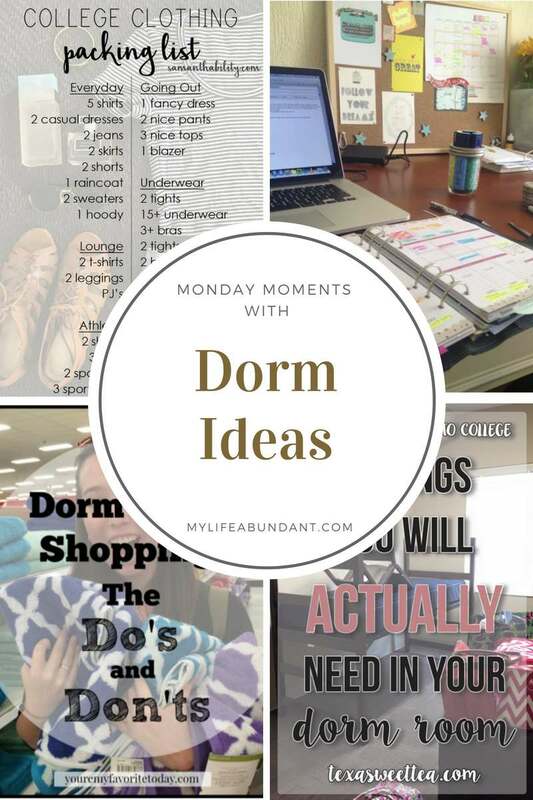 Her Campus website is full of ideas for those starting for college and her 7 Insider Tips for Rock Your Freshman Year is a perfect example. Be sure to check out this website for more college ideas. Need some ideas for shopping for college? Your My Favorite Today has some do’s and don’ts on how to shop properly for college for your college-bound child. Texas Sweet Tea has a list of must-haves for any college dorm. Actually some of these I could use in my own home.